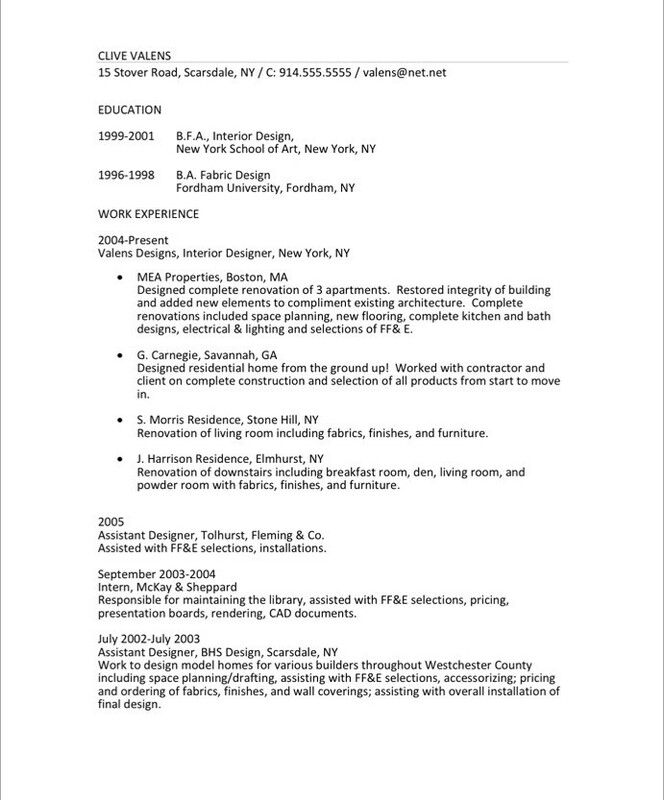 Notice how we completely changed the lead-in to this resume. Clive had started with his design education because he felt this would be important for employers to know. 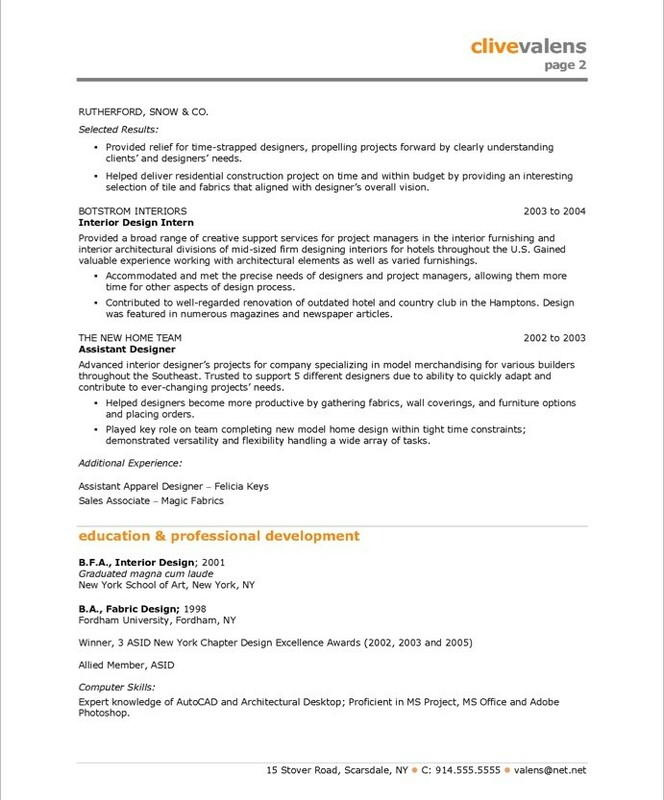 But employers know to look at the end of the resume for education information. If that’s important to them, they’ll find it. 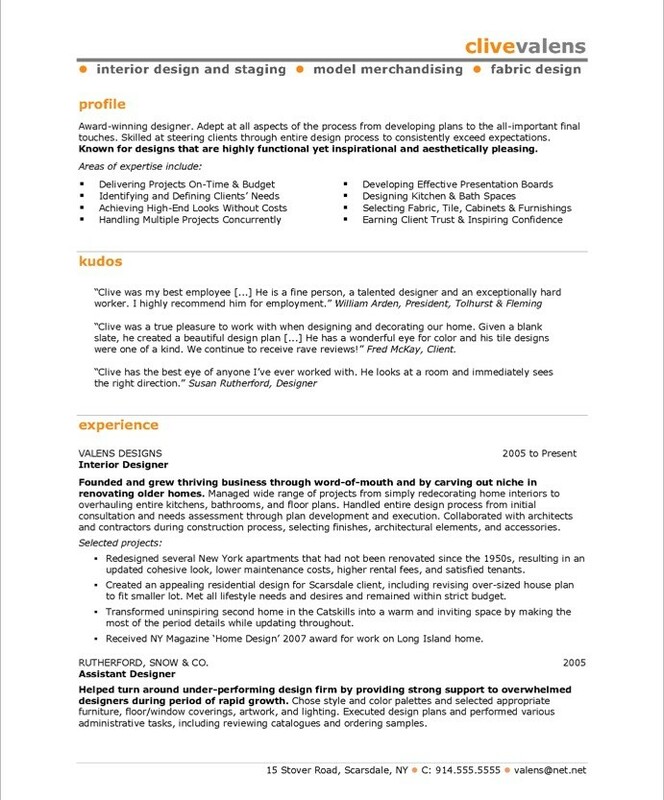 Instead, we started his new resume with a summary of his background and approach, a list of key skills, and some quotes from former client and employers. Much more powerful!